•Children are welcome to come into school from 8.30am for a gentle calm start to the morning. •Members of staff are out on the playground to talk to most mornings. •Gates close at 8.45am as children should all be in their classes at this time ready to learn. 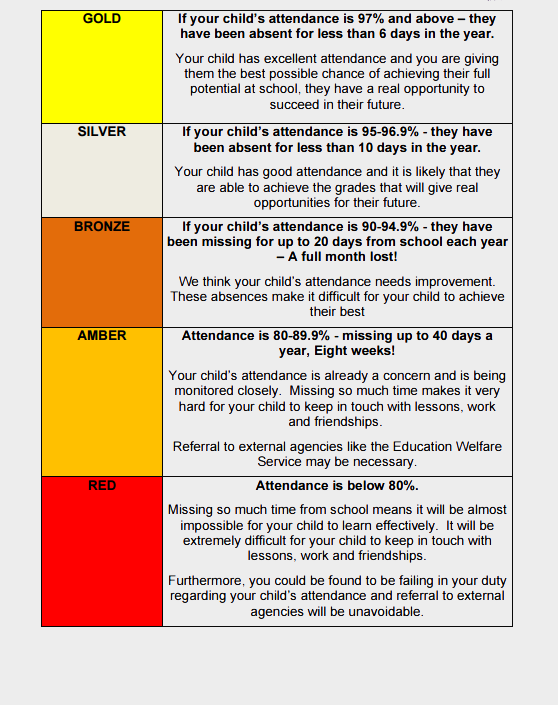 •Your child is marked under a Code U if they arrive after 8.56am, this means that your child is missing their attendance mark for the whole morning session. •Late arrivals cause disruption to the class and beginning of your child’s day. •No child likes walking into a class late, full of children who are quietly working. This is embarrassing for your child. •Please ensure that you make arrangements for your child to arrive at school on time.